Corporations or institutions plan events for different purposes. From creating brand awareness to strengthening the loyalty of your existing clients, every company has different approaches to event marketing. However, one thing most corporations and businesses have in common is that they plan events to attract high-quality leads and, potentially, turn those leads into clients or customers. This is one of the things clients will be looking for when they engage your planning services. That’s why it’s better to be prepared and know how to transform an event into a lead magnet. But first, let’s agree on the definition of qualified leads. Most brands will conduct a series of analyses to determine their idea of buyer personas or target groups. Once they determine their target audience and uncover that audience’s motivations and challenges, brand marketing teams will design full communication and marketing strategies. The main purpose, in this case, is to find an efficient narrative that will get these target groups interested in the company’s product or services. However, it’s not always easy for these companies to qualify their leads. Imagine a funnel through which multiple potential leads will enter. As the funnel narrows down, only those people who are truly interested in the brand’s products or services will remain. In other words, a qualified lead is the ideal potential customer who will positively react to the brand’s communication and marketing efforts and want to learn more. So how can you help your clients identify business prospects during their events? As this Markdebrand study points out, "According to 80% of the attendants, live demonstrations and free samples significantly help define their purchasing decision." To qualify your leads during the event, make sure you provide them with attractive brand experiences and introduce your product or service through live demonstrations and free trials or samples. This will help you differentiate between your attendees’ interest in your brand and their actual intent to engage more with your brand. The former will want more information, have other types of requests, and show their willingness to be in contact with someone from your team. There are different types of attendees (aka leads). There are those people who haven’t acknowledged or realized they have a problem, yet they are curious to check out different novelties. Then there are the attendees who are aware of their problems and actively evaluating different solutions. And finally, there are those guests who have actually decided they want to purchase a solution and are searching for a brand that will suit their needs. Make sure that your event speaks to all of these attendees. This way, you’ll be able to understand who is more into finding solutions and who is just interested in educating themselves about certain topics. 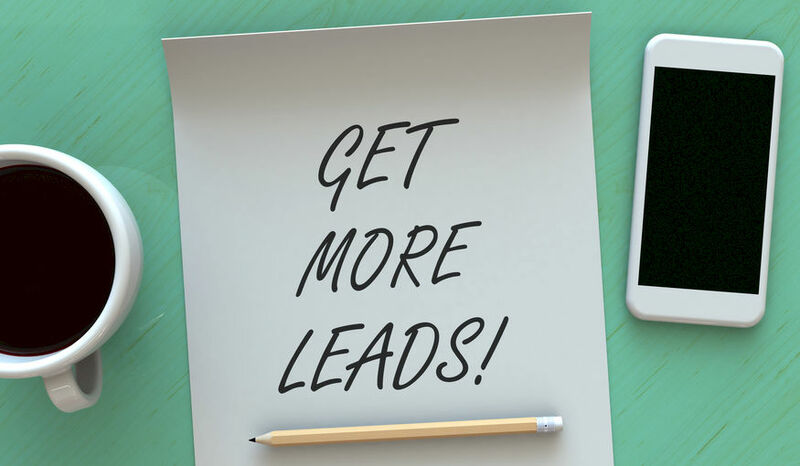 Set up different calls to action for different types of leads (whether it’s someone who doesn’t even know she or he has a problem to someone who already wants to purchase the solution). Subsequently, provide your attendees with a series of QR codes that they can use to download different lead magnets (in exchange for their email and personal data), fill out forms, or get access to a free trial (if your client’s brand is providing a digital service). You’ll be able to pinpoint different types of attendees based on content they go for. For example, people who only want to download a general eBook might be not even aware of their problems. On the other hand, if one of the event guests uses a QR code for a free version of the product, you can surely classify him or her as a potential customer. Another way to qualify leads is by letting your attendees customize their own event agenda. Run multiple dynamics at the same time (live demonstrations, expert sessions, round-tables) and encode a specific marketing strategy for different lead levels in each activity (from the uncertain ones to hot leads). By analyzing which dynamics your guests attended, you’ll be able to see which lead is in each group and identify the qualified ones. If you weren’t able to qualify all the attendees during the event, you can usually follow up later using an outbound strategy. You can help your client send a series of emails to find out who has no interest in further communication with the brand and who is actually interested in certain offers … making them your qualified leads. To identify qualified leads, you must be able to evaluate your attendees’ motivations and interests. There are a few ways you can go about it. You can run different dynamics simultaneously during the event or use QR codes for distinct call to actions. And don’t stress if you couldn’t qualify all of the attendees during the event—you can always follow up with them to determine whether or not they’re interested in your client’s brand.